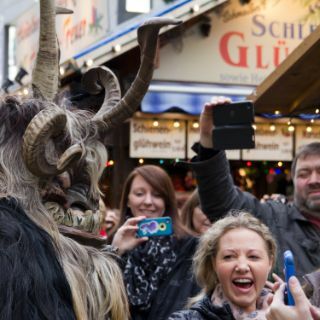 They look scary - but actually they’re totally harmless: about 300 masked beings frighten passers-by during the big traditional run of the Krampusses via the Munich Christmas Market on Sunday, December 9th 2018 from 3 to 5 pm and Sunday, December 23rd 2018 from 4 to 5 pm. 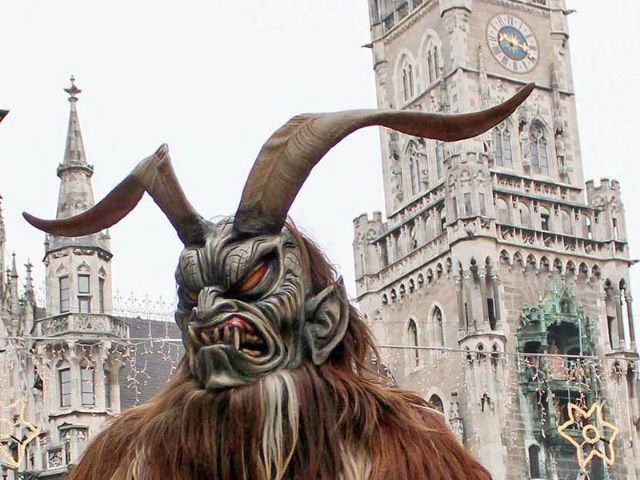 The Krampus is the scary assistant of kind Saint Nicholas. 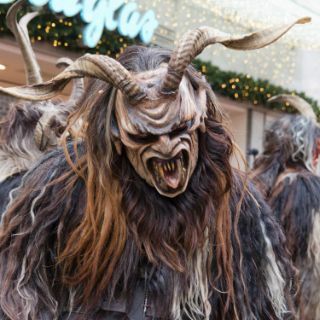 Whereas the latter likes to turn a blind eye when children are naughty, the Krampus prefers to rattle his chain in a terrifying manner, to attain the required level of respect and to reprimand his disagreeable contemporaries. 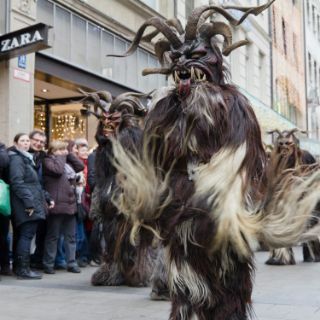 The Krampus Run dates back 500 years to a tradition from the Alpine regions. 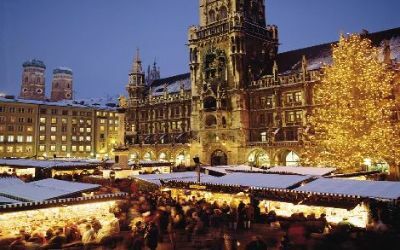 As early as the 16th century, the so-called “Klabaufs” paraded around: Schoolchildren, choirmasters and school teachers of the Frauenkirche and St Peter’s church dressed up as bishops and caused so much unrest that the policed had to be summoned. 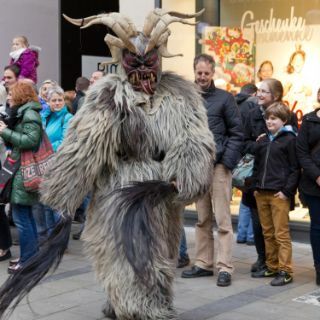 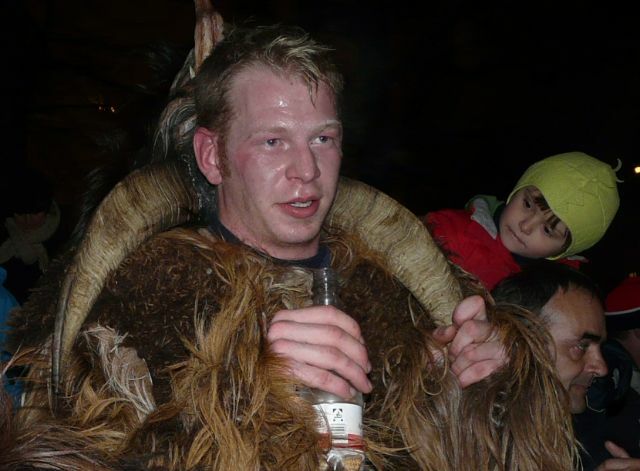 The tradition of the Krampus Run is once again very popular, especially among young people. 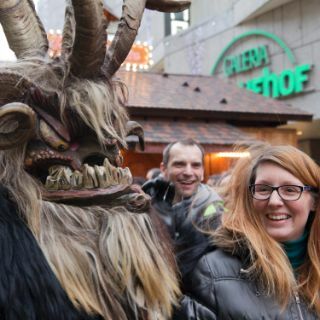 Watch out for the Krampus!